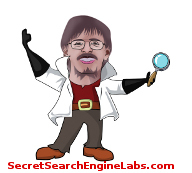 We are planning to make available a few positions of lab membership where you will have to possibility to work in the search engine lab, experimenting with your own websites. We hope to provide daily and on demand indexing of your site, detailed information on how your websites are analyzed and why you rank for specific keywords. But the most urgent members function is to be able to ask for reconsideration in case your site has been deleted because of a glitch in the algorithms. Check back regularily to get in when we open!